Singapore’s Central Business District, home to 176,000 workers, a place where the heartbeat of the economy is. 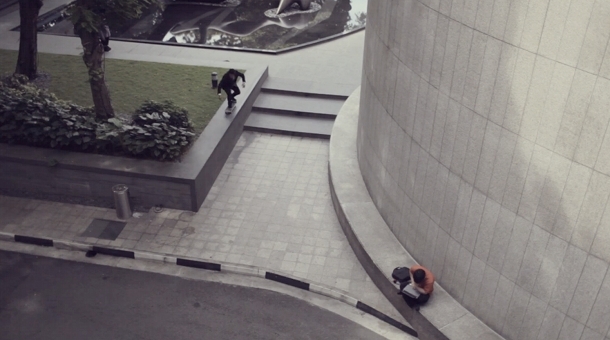 Constructed with marble ledges, stairs and banks at almost every corner of the district, its an ideal playground for skateboarders. Taking a different approach towards traditional skateboarding videos, skateboarding in a suit allows the skateboarder to blend in with the working society. It gives audience a different perspective and allow viewers to see the sport in a different light.